The junior class today have been given their log ins and all logged into our school blog for the first time today and practiced adding a new post. They all also made a comment on one of the older posts. 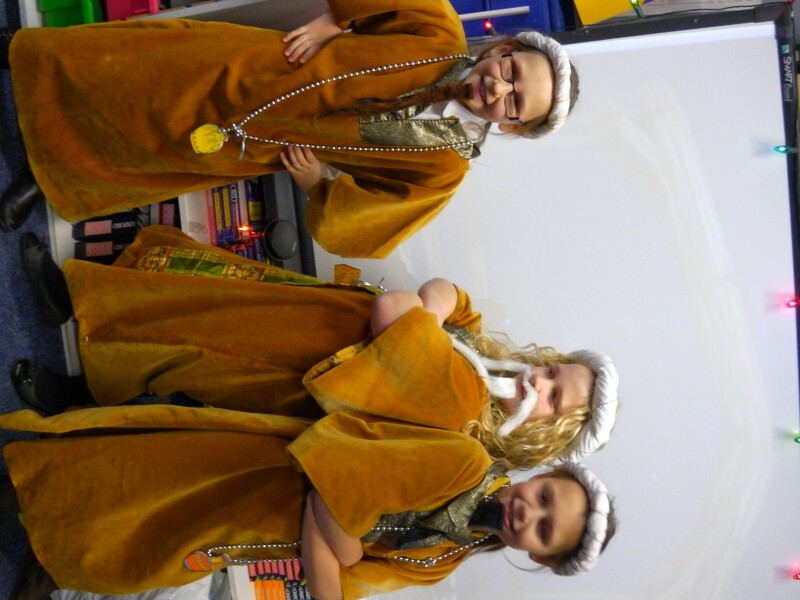 I hope you enjoy reading the short posts by the children. Please comment on them if you wish. To top off a very busy exciting week our fabulous school cook prepared a scrumptious Christmas dinner which was served to nearly 50 people include some special guests. Everyone enjoyed the turkey dinner and it was clean plates al round. 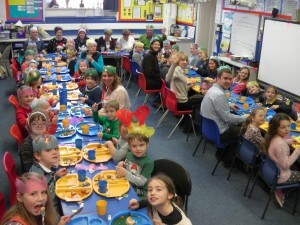 What a great site to see the entire school sat round a big horse shoe table in the junior classroom sharing the joy of Christmas. Following the dinner the tables were cleared and a dance/party floor was created for some Strictly Come Dancing, musical statues, pass the parcel and a firm favourite ‘flap the fish.’ Santa arrived mid afternoon and delivered each child a gift which they were all very thankful for. After working hard for the Autumn Term and putting on some spectacular performances the children of Gillamoor School deserved a treat. What could be better than a Christmas panto visit to York? 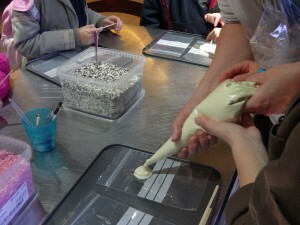 Maybe adding on a morning at York Chocolate Story! 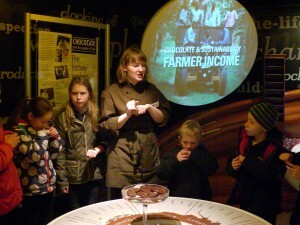 The Chocolate Story offered loads of chocolate history going back thousands of years. Our guides led us through a series of informative rooms, one was straight out of Harry Potter with moving and talking pictures! Many of the rooms offered a tasty chocolate treat, although some of the children weren’t too keen on the Aztec cocoa water… A highlight of the tour was making their own chocolate snowman lolly, which may or may not have made it home? It was a great visit everyone learnt and ate a lot! 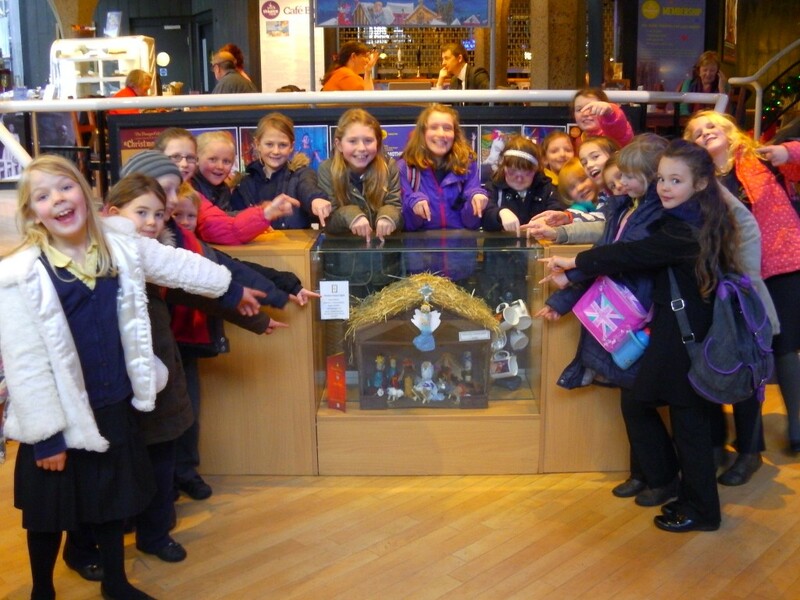 The juniors as a bonus treat had a quick walk up to see their Nativity scene in pride of place at York Theatre Royal (you may remember reading about it here?) 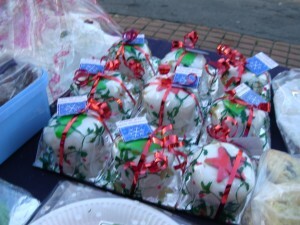 Some of the staff commented how many complementary comments had been made about it from their thousands of visitors. 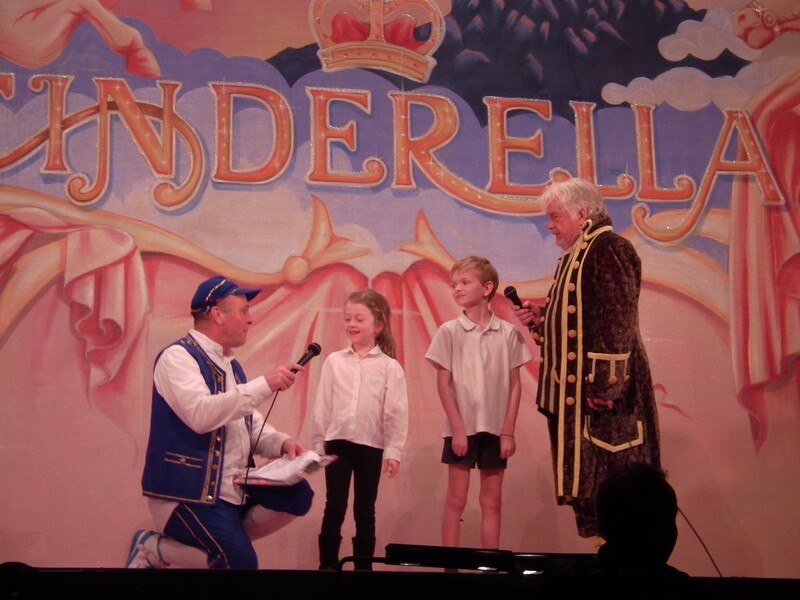 Cinderella at the Grand Opera House was from all the comments the children and adults made one of the best pantos the school has ever been to see. The sing alongs of familiar songs, comedy, very ugly sisters and wonderful cast made it an excellent end to a busy term. One of our young stars was even chosen to go up on stage to help in the “sing off” of Everything is Awesome! from the Lego Movie! 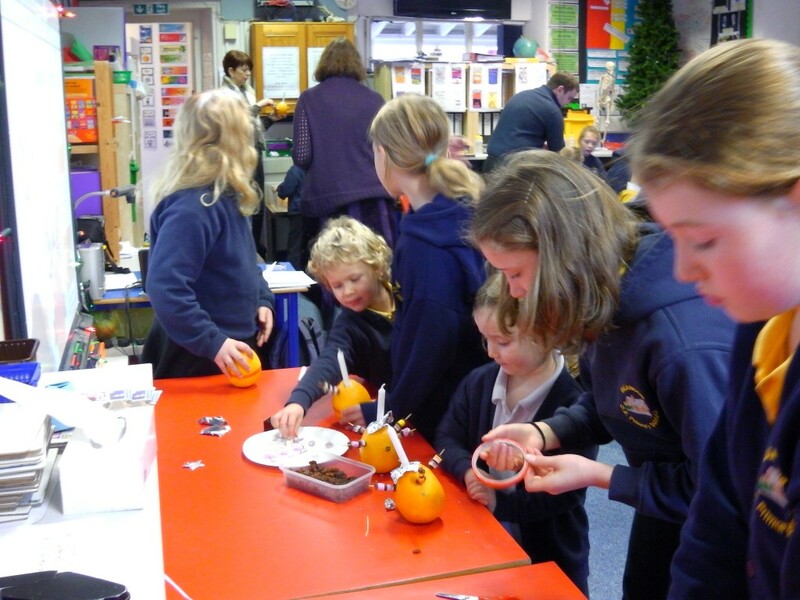 Another wonderful site for Christmas was seeing the entire school working together in infant junior pairs to each make a Christingle. If you are not sure about what a Christingle is click here. The Christingles were lit and shared as part of the schools annual Carol Service, which was well attended by parents, relatives, friends and villagers. 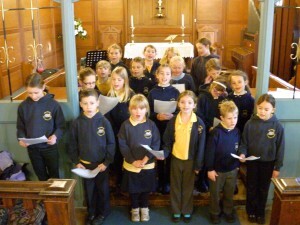 As part of the service the congregation were treated to instrumental performances from brass, clarinet and tenor horn. 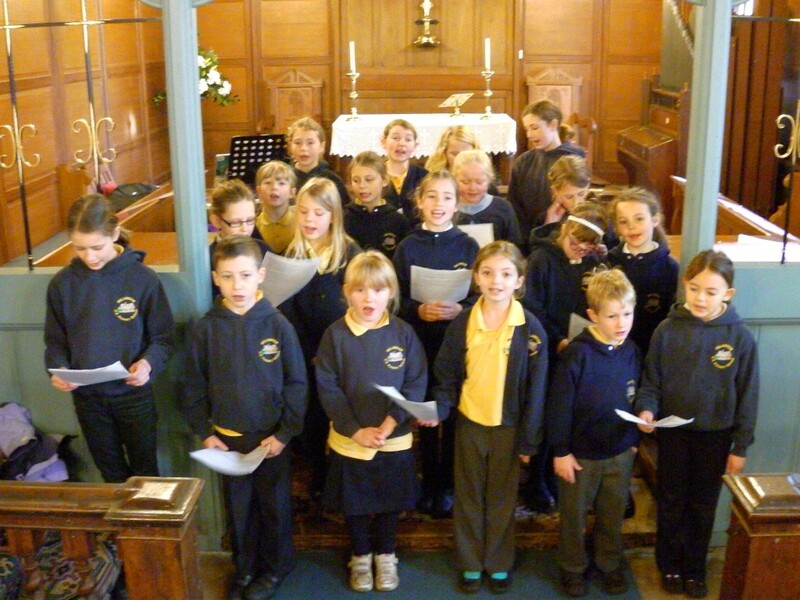 Many of the children read a passage of the Christmas story or a prayer and they all sang a range of traditional carols and songs from their recent productions. Thank for reading our blog and for the comments you have made about it. I hope you enjoy the final posts for this year which include work from every child in the junior class. 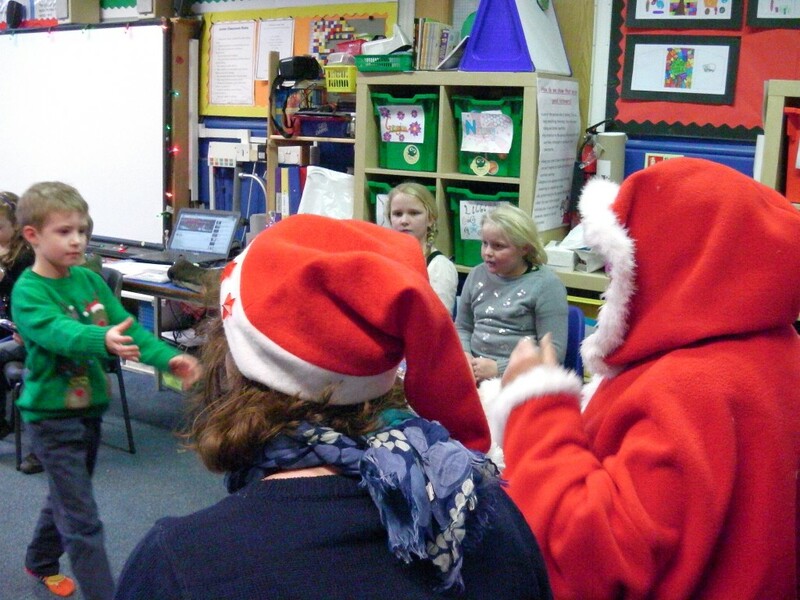 Have a look at some Christmas Poems by clicking on the tab above. Wishing you all a Merry Christmas and a Happy New Year, I’m looking forward to seeing you all back in 2015! In the juniors we have been making Christmas cards. We had some coloured card, glitter glue and coloured pens. We could draw anything on our cards as long as they were related to Christmas; some had reindeers on, Santa’s, Christmas cakes, angels, stars and sometimes a variety. We were allowed to make more than one card had according to how fast we made them. 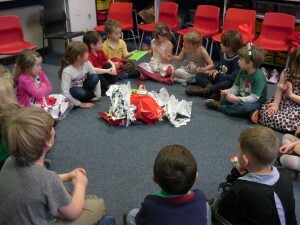 After everyone had finished making them we chose who we wanted to send them to and wrote inside our cards. We made these Christmas cards for family and friends because Christmas is about giving and caring and to be happy and thankful. 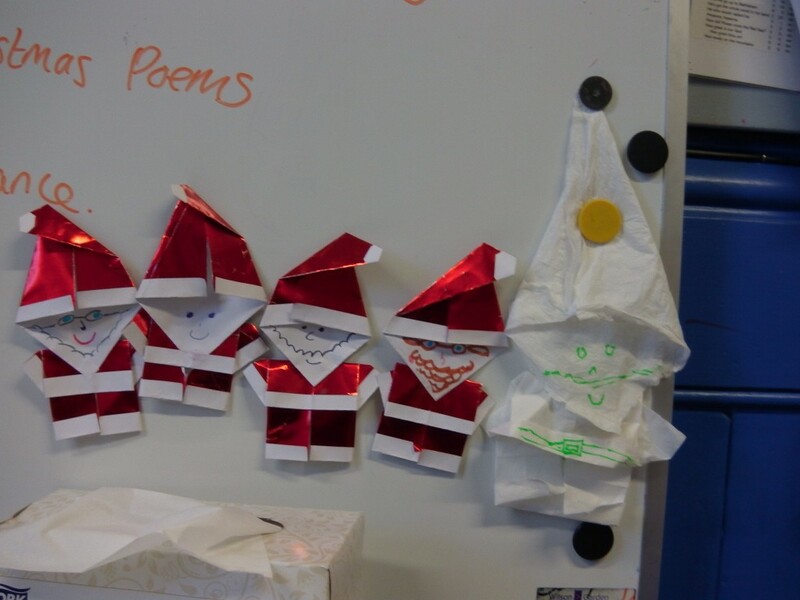 When the year Sixes went to work at the stall in Kirkbymoorside the rest of the juniors (threes, fours, fives) made Origami Santa’s, also Jasmine and Minnie made one with tissue on the bus from swimming. We got two sheets of square paper to make it the paper had red on one side and white on the other side and glue. 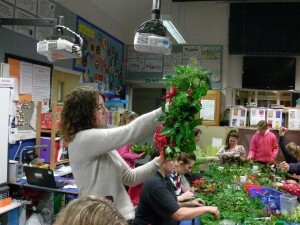 First we made the head (it was tricky but we kept up with Mr Dean ). Then we made the body we all made it then stuck the head on the body now they are all up on the white board. We hope you have enjoyed looking at our presentation in the blog and have a very Merry Christmas! There a 10 knock knock jokes at the beginning. 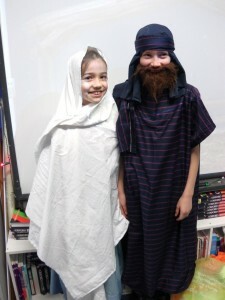 Moses the dog is over excited and the Innkeepers received some unwanted visitors. The dancers twinkle in the star light in Bethlehem. Look out for the Roman Soldier because he is always trying to barbecue Moses the dog! 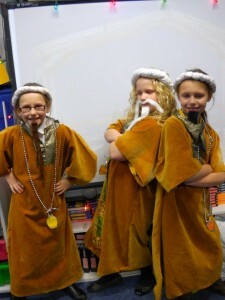 The three kings bring shiny gold, spicy frankincense and a sweet ointment called myrrh. The angel appears out of nowhere to the Shepherds and they are very scared. The Innkeepers always toss and turn in their bed because the starlight is too bright to get to sleep. 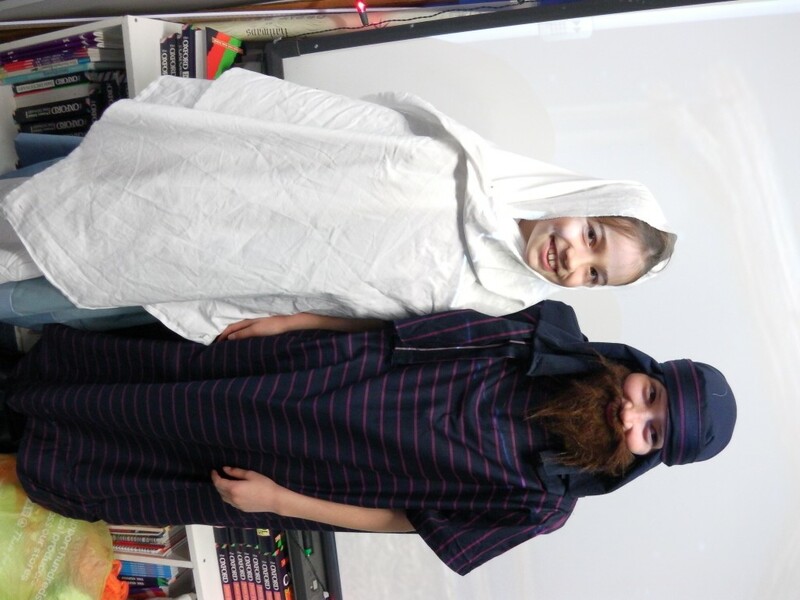 In the end Mary and Joseph have a very special baby called Jesus Christ the Saviour, everyone is happy and even Mr and Mrs Innkeeper! 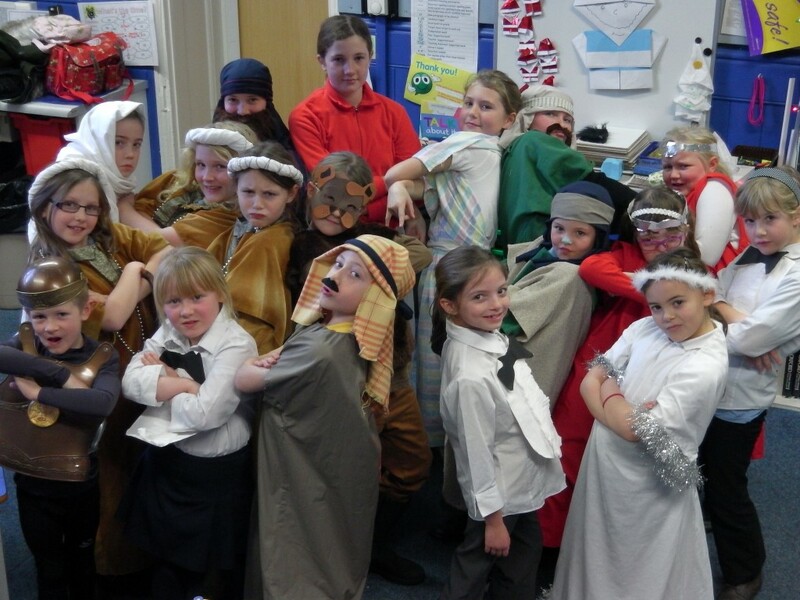 Come and see our play on Tuesday 16th December 1pm and 6pm. On the 18th of December we are going to the pantomime and York chocolate story. Our first stop of the day is York Chocolate Story and at the chocolate story you go into different rooms and the people in the rooms tell you how chocolate is made and about it. At the end you even get to try some yummy chocolate! 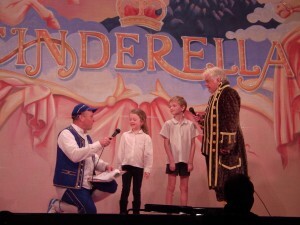 The pantomime is at the York Opera House and this year it is Cinderella. 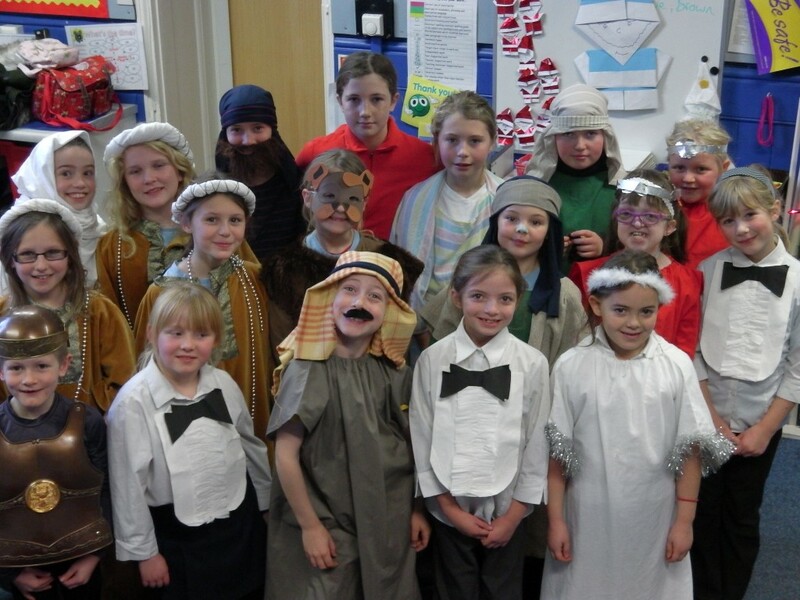 We are all very excited to go to the pantomime. We had Cinderella last year. This year it is different because we usually go to Scarborough but this year we are going to York! 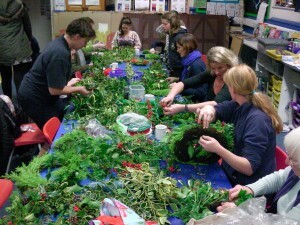 The Gillamoor Christmas Elves were hard at work in their workshop last night, busily making Christmas wreaths to sell at the market today. It was fantastic to see so many parents, friends and children all getting their hands dirty to make these fabulous creations. 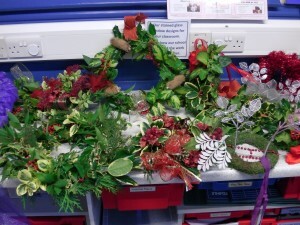 Each wreath was created from scratch and decorated in the creators own unique style. 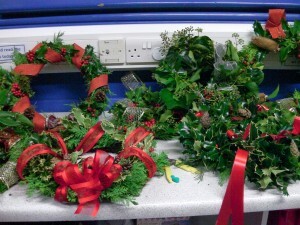 When the children were not wreath making they were creating all sorts of Christmas crafts in the infant’s classroom including: decorations, candles and colourful Christmas/winter scenes. All of the year 6 along with some adult helpers went down to sell all of the creations today along with a wide range of homemade cakes and tray bakes. This is always an excellent fundraiser for the PTA and the final sum will be announced soon. 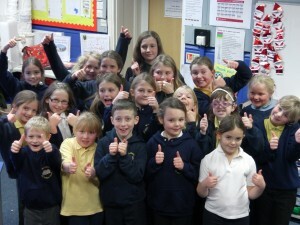 Thank you and well done to everyone who was involved and to all those who bought everything!